Options for managing climate variability and market risks for smallholder farmers in Ethiopia. Mallawaarachchi, Thilak (2010) Taxes and charges on nature’s bounties. EcoDate, 24 4: 5-7. Mallawaarachchi, Thilak and Quiggin, John (2001) Modelling Socially Optimal Land Allocations For Sugar Cane Growing In North Queensland: A Linked Mathematical Programming And Choice Modelling Study. Australian Journal of Agricultural and Resource Economics, 45 3: 411-436. Beard, Rodney and Mallawaarachchi, Thilak (2011). Threshold effects and international environmental agreements. In: EAERE 2011. 18th Annual Conference of the European Association of Environmental and Resource Economists, Rome, Italy, (1-18). 29 June - 2 July 2011. Adamson, D., Mallawaarachchi, T. and Quiggin, J. (2008). Declining inflows and more frequent droughts in the Murray-Darling Basin: Climate change, impact and adaption. In: 52nd Annual Conference of the Australian Agricultural and Resource Economics Society (AARES 2008), Canberra, Australia, (). 5-8 February, 2008. Adamson, D., Mallawaarachchi, T. and Quiggin, J. (2007). Climate change and climate uncertainty in the Murray-Darling Basin. In: Proceedings of AARES 2007. AARES 2007; 51st Annual Conference of the Australian Agricultural and Resource Economics Society, Queenstown, NZ, (). 13-16 February 2007. Adamson, David, Mallawaarachchi, Thilak and Quiggin, John (2006). Climate Change, Water Availability and Adaptation in the Murray Darling Basin. In: Proceedings of the 26th Conference of the International Association of Agricultural Economists. 26th Conference of the International Association of Agricultural Economists, Gold Coast, (). 12–19 August 2006. Adamson, David, Mallawaarachchi, Thilak and Quiggin, John (2006). State-contingent modelling of the Murray Darling Basin: implications for the design of property rights. In: Proceedings of the 50th Annual Conference of the Australian Agricultural and Resource Economics Society. The 50th Annual Conference of the Australian Agricultural and Resource Economics Society, Sydney, (). 8-10 February, 2006. 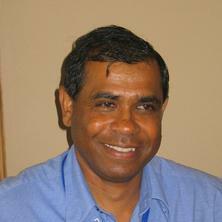 Adamson, David, Quiggin, John and Mallawaarachchi, Thilak (2005). Modelling basin level allocation of water in the Murray Darling Basin in a world of uncertainty. In: AARES 2005. 49th Annual Conference of the Australian Agricultural and Resource Economics Society. AARES 2005. 49th Annual Conference of the Australian Agricultural and Resource Economics Society, Coffs Harbour, N.S.W., Australia, (). 7-11 February 2005. Loch, Adam, Adamson, David and Mallawaarachchi, Thilak (2013). Hydrology and Economics in Water Management Policy under Increasing uncertainty. Risk and Sustainable Management Group Working Papers 156479, School of Economics, University of Queensland. Adamson, David, Mallawaarachchi, Thilak and Quiggin, John (2007). Climate change and climate uncertainty in the Murray-Darling Basin. Risk and Sustainable Management Group WP2M07, School of Economics, University of Queensland. Adamson, David, Mallawaarachchi, Thilak and Quiggin, John (2006). State-contingent modelling of the Murray Darling Basin: implications for the design of property rights. Risk and Sustainable Management Group Working Papers 149856, School of Economics, University of Queensland. Adamson, David, Mallawaarachchi, Thilak and Quiggin, John (2006). State-contingent modelling of the Murray Darling Basin: implications for the design of property rights. Murray-Darling Program Working Papers WP2M06, School of Economics, University of Queensland. Adamson , David, Mallawaarachchi, Thilak and Quiggin, John (2006). Water use and salinity in the Murray-Darling Basin: a state-contingent model. Risk and Sustainable Management Group WP5M06, School of Economics, University of Queensland.